The hooks are produced from iron wire and sometimes from steel. Hooks intended for the salt are often coated with for instance tin to protect them from corrosion. The hooks are light and we do not cast them, rather we cast the fly line (more later). The tin coated salt water hook has classical proportions. The shank is sometimes longer and then we use the shorthand long to describe the hook or still longer then we use extra long (#8 in the sequence). 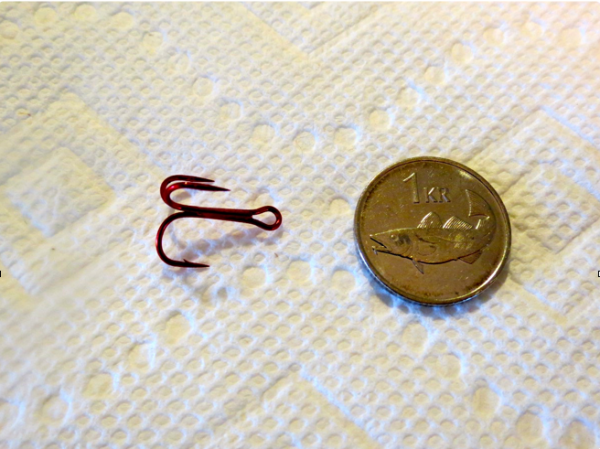 Such hooks are used for instance for streamers (more later) to imitate baitfish (eaten by larger fish). Streamers are usually tied on hooks #2-6. We can come across the notation X and that just means that the hook is extra strong, and made from the wire for the next hook size up. If we come across a hook X #4/0 then the size is #4/0 but the wire is for a #5/0 hook. We like X for our salt water hooks. 2X means a wire for a hook 2 sizes up. We like to use hooks with short shanks when using tube flies. They are ideal for tubes (less weight) and hold fish better because with the short shank the lever is shorter and the hook dislodges less when playing fish. The eye can be up straight or down. Most trout and salmon flies are tied on an upturned hook. The straight eye is found on our salt water hooks. Eye down is usually found on our streamers. The eye position is probably just a quirk or dogma and the fish probably do not care (but beware fly anglers can be terribly dogmatic). 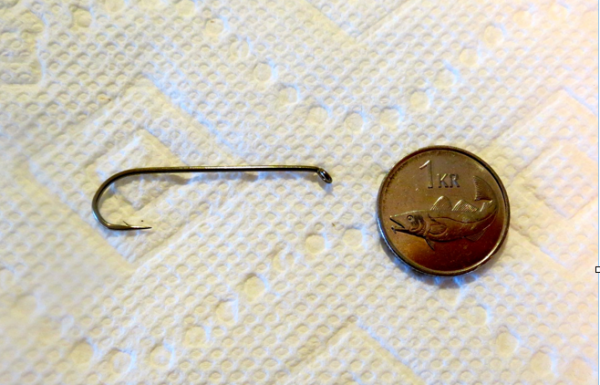 Sometimes we find hooks with wider gape (wide gape) and they make it easier for us to set the hook or strike. The barb is supposed to keep the fish hooked. I release my fish and therefore mash down the barb from the get go to facilitate unhooking the fish. If I pay attention to keeping the line taut the fish stays hooked. 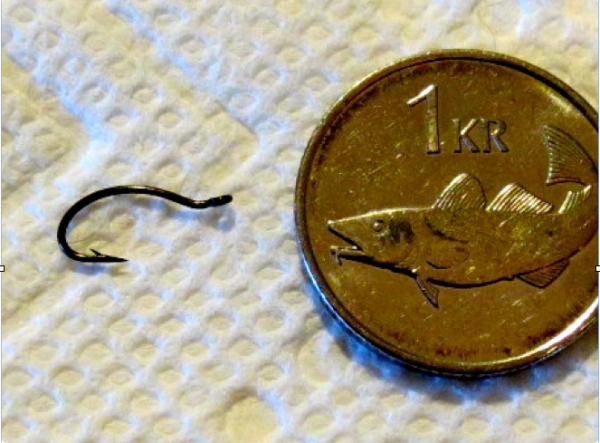 Let´s say that the smallest hook is #28 for dry flies. Subsequently the hooks get bigger to #1 (with decreasing numbers). The next size is #1/0 and now they get bigger to #2/0 – 3/0, etc. 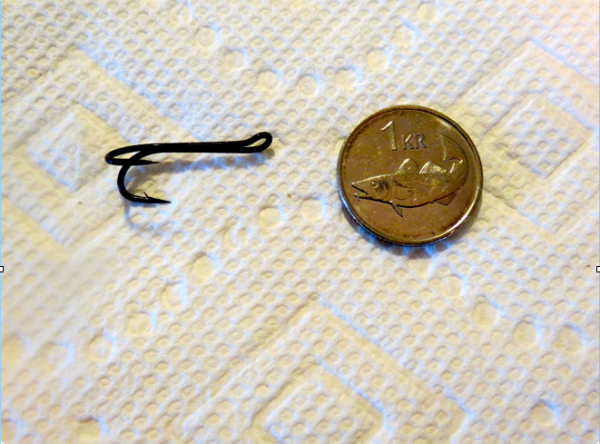 The small hooks come in increments of 2. 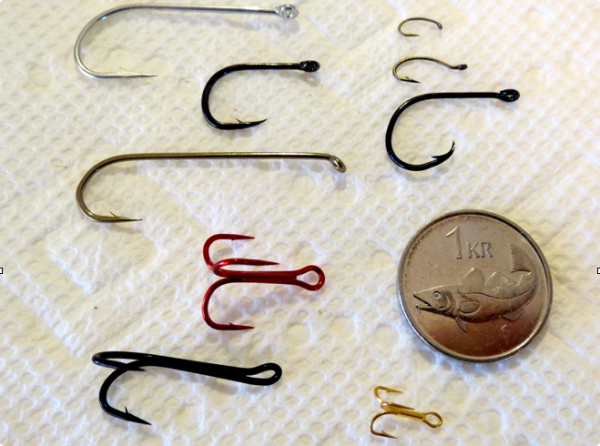 What size to use depends entirely on the size of fish and the water being fished, etc. 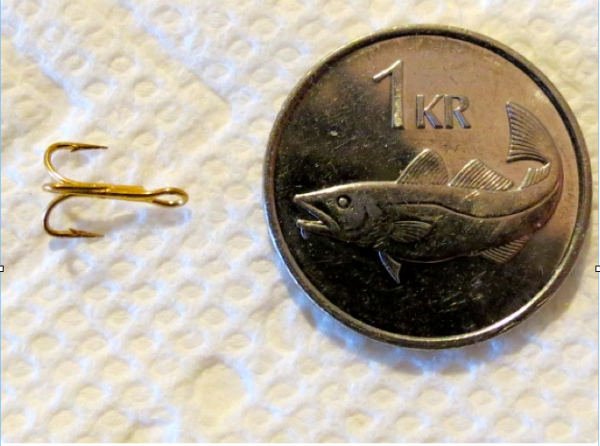 Trout flies are mostly single point hooks whereas salmon flies are double point hooks. In the salt we use exclusively single point hooks. The manufacturers have their own quirks and standards but the numbering is comparable and this is the matter in a nutshell. 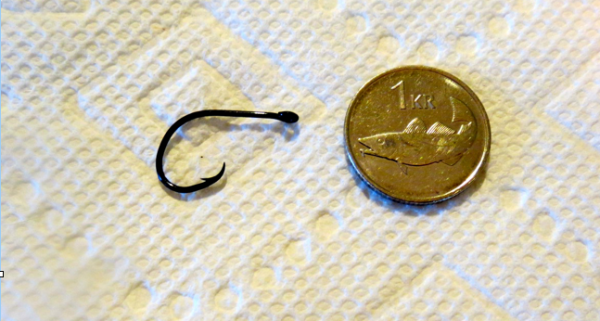 There is obviously a relationship between the size of the hook and the size of the tippet you use to tie it on. In the tippet section I will provide with an approximate recommendation.